As some of you may or may not know I do YA Reviews for my local library website (https://www.suffolklibraries.co.uk/) and it is something that I really enjoy doing. 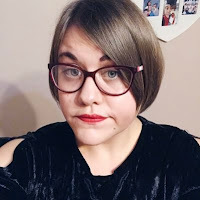 You may also know that in a few weeks time I'm going to be starting a new job as a Library and Information Advisor at one of the libraries near me. I had my training last week and I am SO excited to start. This brings me onto the next thing - I love libraries and feel like they are such a great thing to have in communities. I've been going to the library for several years now and it's just amazing to be able to spend hours browsing the books and taking them home to devour for free. 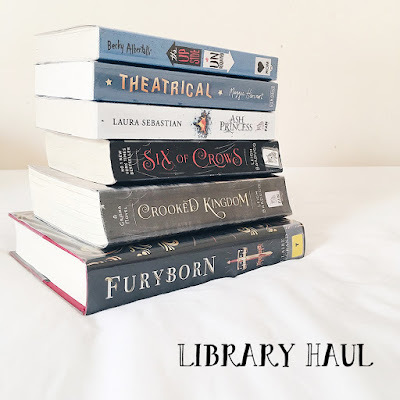 So, as someone who borrows books frequently from my local library I have decided to start off a new series on Amy's Bookish Life where a few times a month I talk about the books that I have borrowed from the library. I am hoping this will encourage some of you to go out and visit your local library more and reap the benefits of it! Do you visit your local library? If so what books have you taken out recently? - I have only read one other book by Becky and that was..you guessed it..Simon Vs. The Homosapien Agenda. That book was such a good read so I thought why not read some more work by her. The Upside of Unrequited sounds like it's going to be a cute, sweet, contemporary read and I can't wait to get into it. - There's been a lot of hype surrounding Theatrical on bookish twitter and it got me intrigued. As someone who loves the theatre and going to shows I am really interested in the plot. Maggie has also been described as the english version of Rainbow Rowell so of course I am dying to read this. - Ash Princess is also a book that has been getting lots of hype on the twitterverse. As a big lover of YA fantasy I am very excited to read this. The plot sounds thrilling and I can't wait to explore another fantasy world. - I literally finished Six of Crows a few days ago but I still want to talk about it in this haul post. This book has become my new favourite! I literally devoured it and everything about it was just pure perfection! I didn't think anything would top The Grisha Trilogy but I was proven wrong. I am now obsessed. - This is the second book in the Six of Crows Duology and as I loved the first book its pretty obvious that I am going to read the second. I am buzzing to get back into this world with it's amazing characters, great story arcs and just all round perfection. - This is another YA Fantasy but this time it's one that I haven't heard much about. I think I was drawn in by the gorgeous cover. I am going to go into this one with an open mind and will keep you posted. Fingers crossed I enjoy it.